And Gulf World Marine Park. Elevate Your Experience at this AAA Four Diamond award winning Resort. Fully transformed after a 30 million renovation in 2017. The transformation enhanced every aspect of this one of a kind bay-front property, located in Panama City Beach on St. Andrews Bay with private bay beach, outdoor catering venues, Bay Point Lady shuttle to Shell Island, two championship golf courses, full-service Serenity Spa, tennis, pools, water sport rentals and more! Groups will gather in more than 60,000 square feet of indoor and outdoor space for events of every description. For meetings, the conference center with a total of 22 flexible meeting rooms will welcome up to 1,500 attendees in the St. Andrews Grand Ballroom, Grand Lagoon Ballroom, and multi-purpose Spanish Moss Room. Sheraton's full-service catering department will augment guests' access to meals and refreshments via room service and six food and beverage outlets: Flip Flops Poolside, Pelican's Bar & Grill, Hammocks Beach Bar, Tides Restaurant, the Cabana Café Market Place, and Bar 72. Longtime fans of the legendary resort will return not only to witness the transformed luxury but also experience the 18-hole Meadows and Nicklaus Courses. 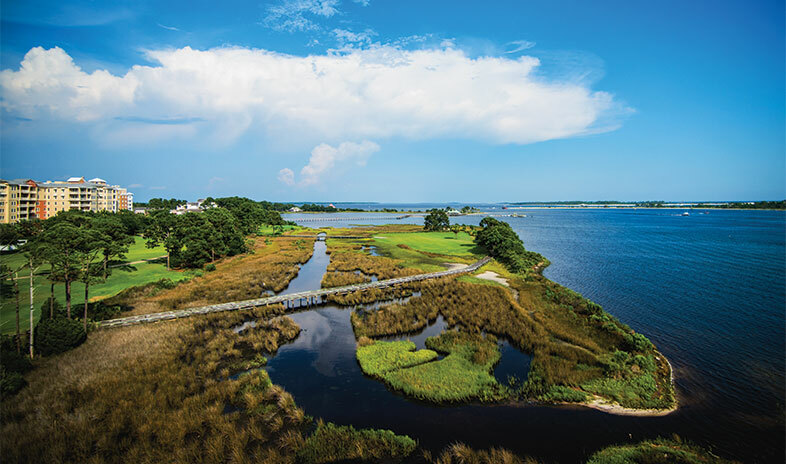 The latter showcases 36 holes of championship golf, including the only Jack Nicklaus Design Course in northwest Florida. Meanwhile, beyond Bay Point's scenic 1,100-acre wildlife preserve wait the equally scenic St. Andrews State Park and 27 miles of pure white Panama City Beach sand on the Gulf of Mexico. We have the space, experience and unique amenities available to customize your events like no other venue can.